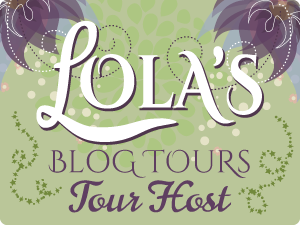 Today I am taking part in the blog tour for Be My Baby by A. L. Michael. Read on to enjoy an excerpt from the book and find out how to enter the giveaway to win a goodie bag full of healthy treats! Evie lifted Esme up in the air, then cuddled her close, laughing. Mollie grinned, snapping a picture of the two of them. ‘Now get one of me!’ Mollie said, swapping the camera for her baby, dressed in a blue pinafore and white striped t-shirt underneath. Esme’s blonde curls looked like tiny soft corkscrews as she grinned gummily up at her mother. ‘You’ve got to stop working at the call centre,’ Mollie shook her head, rocking Esme against her chest, feeling her chubby little fists grabbing at her hair. ‘And you’ve got to stop working at the bakery. We’ve got to make a break for it, before Esme wastes her life here, like we have,’ Evie threw herself onto the floor and reached out her hands for the baby. Mollie placed her on the floor, and she crawled to Evie, slobbering and grinning. She rustled the paper and encouraged the little girl to tear at it, revealing a giant white rabbit fluffy toy, wearing a top hat. Esme dove on it, nuzzling and drooling. ‘Some heart shaped paperclips and a feather boa,’ Mollie grinned, shaking her head and shrugging. Mollie’s voice had an edge to it, even as she smiled, and Evie nodded, understanding how her own desperate need to get back to London, back to university and art and that career she was working towards, well, they were just more things to rub in Mollie’s face. ‘Hey, language Mama Bear – tiny ears!’ Evie clamped her hands over Esme’s ears. Evie nodded and they let the silence settle around them for a few moments. ‘Hey, I got you something,’ Evie reached into her back pocket, pulling out a small, soft square parcel. ‘Because it’s your anniversary of being a mum! And you’re doing an amazing job, and I thought you should know that,’ Evie shrugged. ‘Yeah, I know,’ Mollie nodded, as she watched her daughter smile and roll around, wondering, as she had for every one of those three hundred and sixty-five days, whether Jamie thought about them. ‘Things will get better,’ Mollie nodded, almost bursting with the effort it took to lie. The prize is a goodie bag, full of healthy foodie treats inspired by one of the characters in the book! It will include baking goodies and other bits and pieces! The giveaway is only available to UK residents and runs from the 28th November until the 12th December.